Unconventional wedding rings are getting more and more interesting and different. Today a diamond ring might still be considered the best thing for most, but more and more brides are leaning toward ethically sourced stones that are also on the budget-friendly side and intricate unusual designs that go beyond a single stone in a certain cut. Here are just a few gorgeously unconventional rings you can choose from and consider for that special occasion. 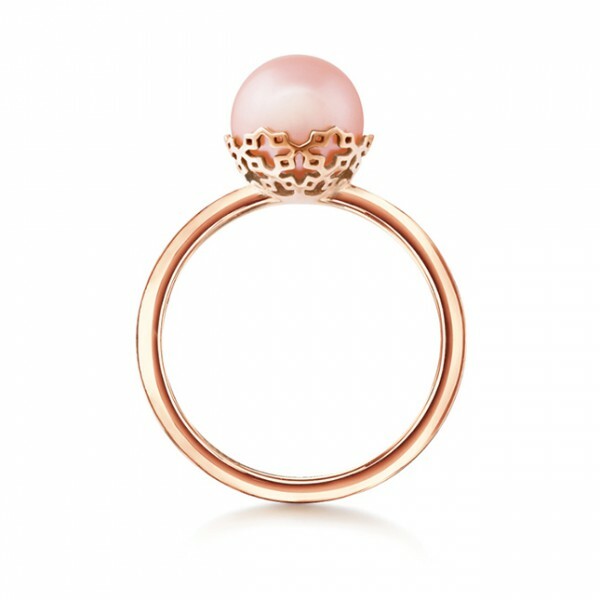 Birsk Muse Peach Pearl Ring is a gorgeous 18k rose gold creation featuring a natural peach-colored pearl that sits in a beautiful ornate setting. Katie Diamond Athena Ring is really something different. An interrupted shank with two stone settings comes in yellow, white, and rose 14k gold at $675 and will be specially made for you. Unusual settings are very popular right now as are different stones. 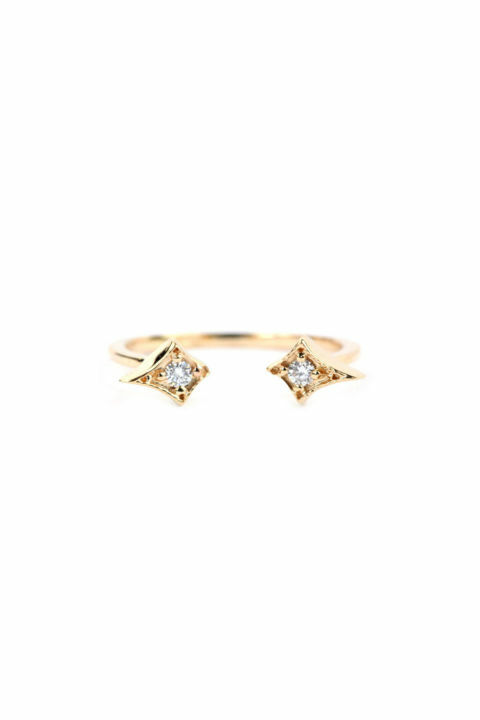 This Pear Morganinte ring from MinimalVS Etsy shop is a real beauty that still looks like an engagement ring. Satomi Kawakita offers delicate octagone rings in clear, brown, navy, and dark red colors at just $630. These beauties make great engagement rings for stylish brides who like colored diamonds and rubies. 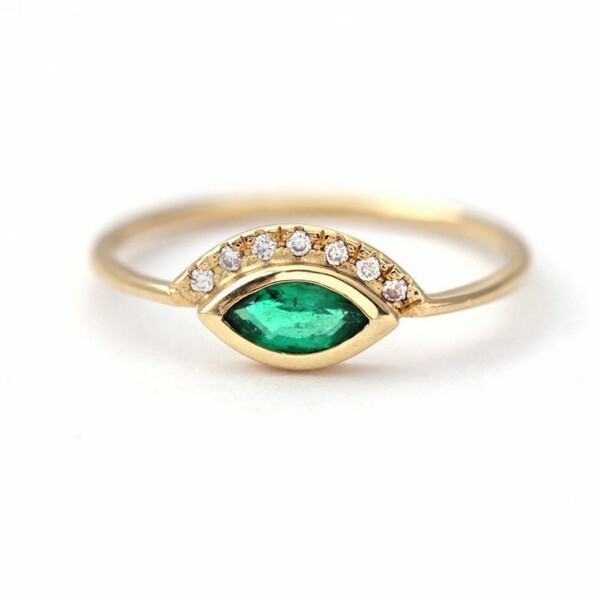 A delicate emerald ring such as this 18k solid gold beauty with a diamond crown is just a little under $1,000 at the Etsy shop Artemer. If you want a really unusual ring look into alternative head stones like opal, topaz, tourmaline and moissanite. Stacking engagement rings are also quite popular right now along with pendant and chain rings. What do you say? 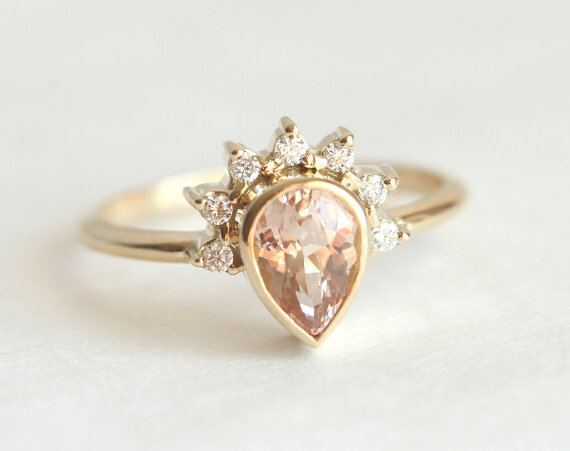 Do you like classic engagement rings or would you rather go unconventional?